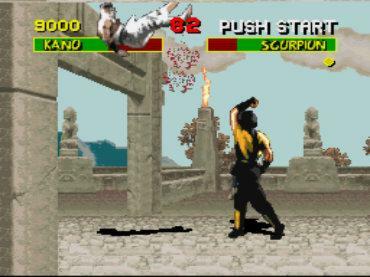 Nowadays, people say that "Mortal Kombat" was almost equally influential on the development of the fighting game genre as "Street Fighter II". 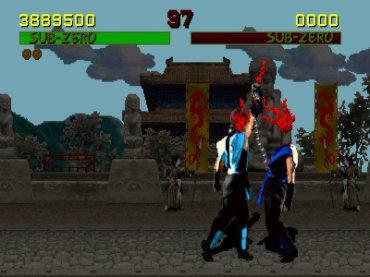 Besides the digitized graphics (sprites that were made with real human beings in front of a blue screen) there was another important aspact which made the game so popular back in 1992 - explicit depiction of violence. 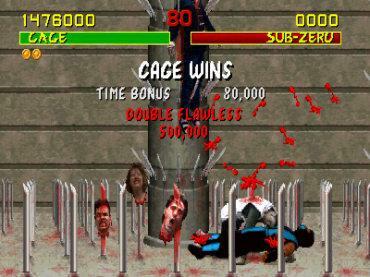 Whenever you hit an enemy, blood was splattering all around and you heard pretty realistic screams for its time. 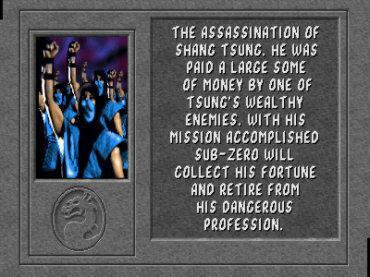 However, the final straw that aroused immense citicism was something else - the fatality, meaning the possibility to kill your enemy in a particularly brutal and explicit way. 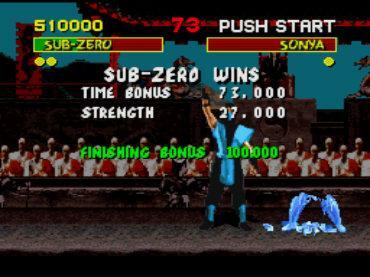 This was the reason for the console market leaders SEGA and Nintendo to censor the games for the respective portings. 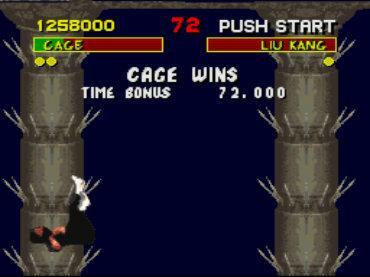 This report is a comparison between the censored SNES version (for the European market) and the uncensored arcade version (5.0) which can be played on Midway T-Unit Hardware. 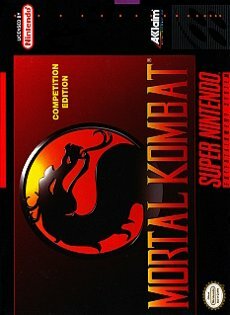 However, both things don't really matter regarding the censorship since all SNES versions worldwide (North America, Europe/Oceania, and Japan) are censored in the exact same way while all the arcade versions have the exact same level of violence (which of course isn't the case if your arcade owner decides to use the possibility to switch fatalities and blood effects off). 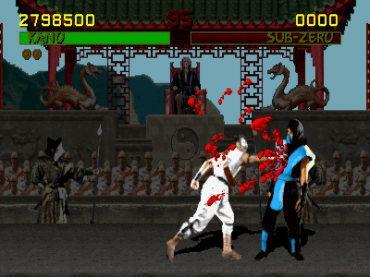 The PC version as well as the modern compilation versions for Xbox and PS2 are uncensored too. The following things were censored. On the left side you will always find the images from the uncensored original version. 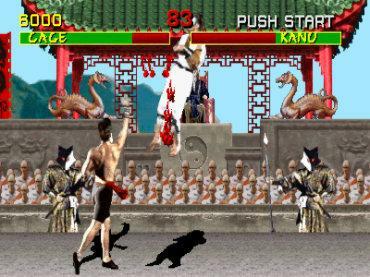 Your computer enemy never does a fatality. The blood was reduced and included in a different color (grey-brownish), thus it rather looks like sweat. 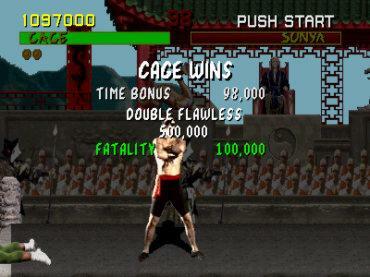 Whenever you do a fatality, you on the screen don't see the word "Fatality" anymore - the game now talks about "Finishing". 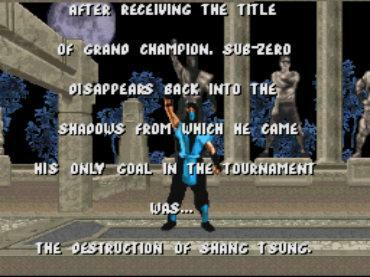 During Sub-Zero's end scene the game no longer talks about the "Assassination" but the "Destruction" of Shang Tsung. 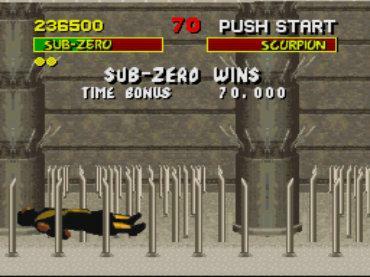 In the stage "The Pit" you're able to smash your enemy off the bridge - on the ground, the enemy will be impaled on poles. Btw. 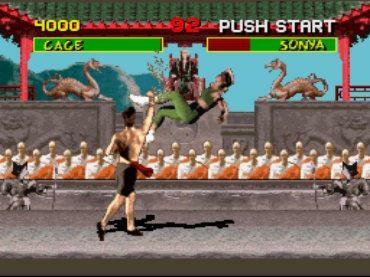 - on this floor you fight against the secret character "Reptile". In the original version you see some corpses, body parts and skeletons down there and even the pillars which hold the bridge above the pit have spikes all over - on one of these spikes you see an impaled corpse hanging upside down. 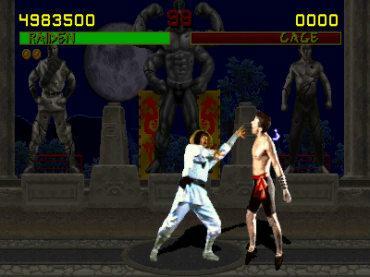 All these details were censored out of the SNES version. 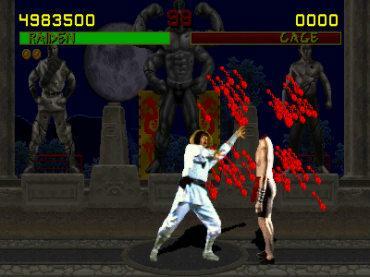 The biggest - and you even might say most creative - changes of the censored version are the fatalities. 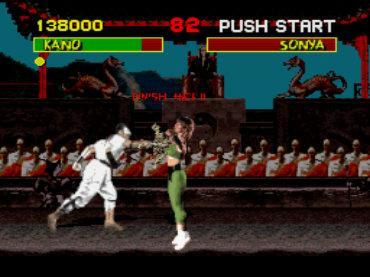 Sonya's and Scorpion's fatalities were not changed in terms of graphics. 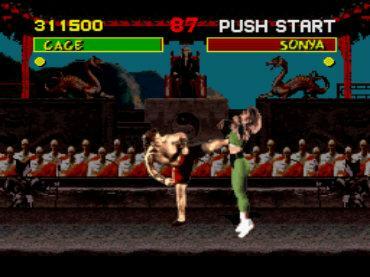 Both still burn their enemies - Sonya gives the enemy a "flame kiss" while Scorpion takes off his ninja mask and breathes fire to the enemy. However, you don't hear the enemy's death cry. 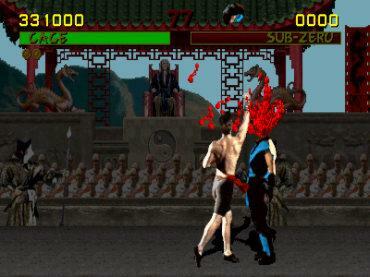 Liu Kang's fatality - a pretty heavy uppercut which throws the enemy out of the screen for a few seconds - was not really changed, however, the blood was censored out. 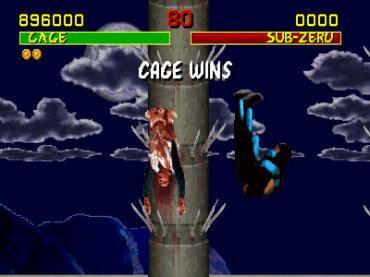 Johnny Cage no longer decapitates the enemy with an aimed uppercut, but spears him with his foot. 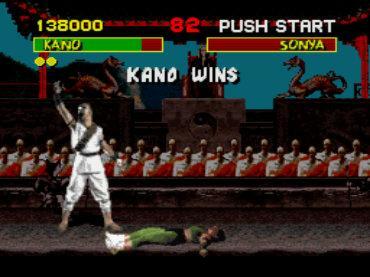 Kano no longer rips the enemies' hearts out but instead just hits their chest and then raises his hand. In the original version he holds the bleeding heart in his hand when he raises it. 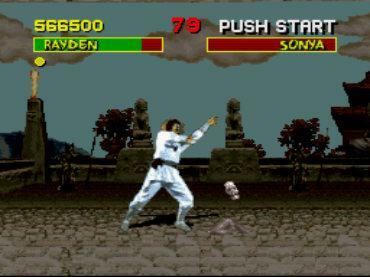 Rayden (in the original version he's called Raiden, but on the consoles the name was already trademarked) originally electro-shocked his enemies which resulted in their heads exploding. In the censored version he literally pulverizes the enemies until all that's left are the ashes and the skull. 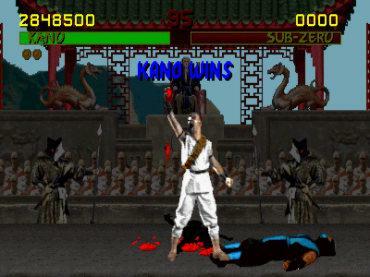 In the uncensored version, Sub-Zero reißt rips his enemies' heads and spine out. 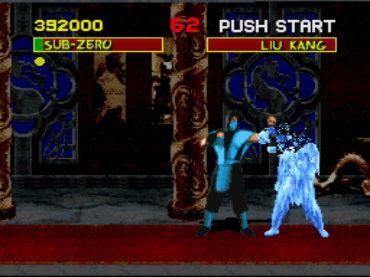 In the censored version he instead jumps backwards, freezes his enemies with an ice-beam, then jumps forwards again and smashes the whole body. 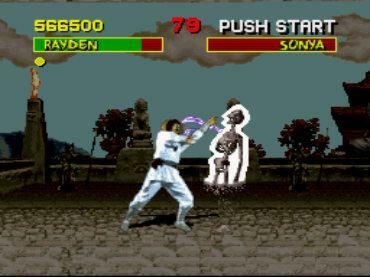 This made the censored fatality quite popular (actually almost equally popular to the original one) and was tehrefore also included in the second part of the series. It has to be mentioned that there does not exist an uncensored module for the SNES/Super Famicom. 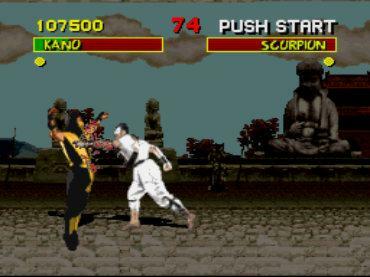 However, it is possible to alter the color of the blood/sweat via a cheat module so that it comes close to the original red color.